Always purchase your strawberries in season. 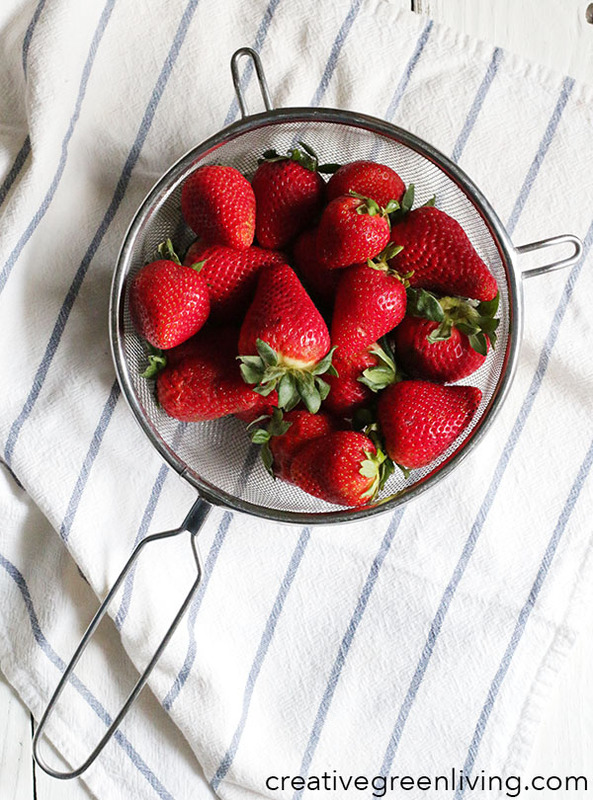 Strawberries are best in the spring and summertime (April through August). If you can't buy them in season, buy frozen strawberries, because they were picked when the berries were ripe and then frozen immediately. Avoid boxes where the berries have white or dark red patches. The best berries will be brilliantly red. Try to find a box with the most red berries possible. Check for mold. Any box with the faintest hint of white, fuzzy mold anywhere should be skipped. Mold spreads quickly through the berries, and you will end up with inedible polar bear strawberries in a day or two. Say no to fuzzy strawberries. Try to purchase local. The strawberries that I bought in France had been picked just a day or two before I ate them. Most farmer's market vendors or fruit stands pick their fruit the day before or the same morning that they sell them to you - and your chances for getting life-changing strawberries increases because they don't have to pick them before the strawberries are ripe and then transport them across the country in a truck (like the grocery store). Purchasing locally also helps support your local economy. 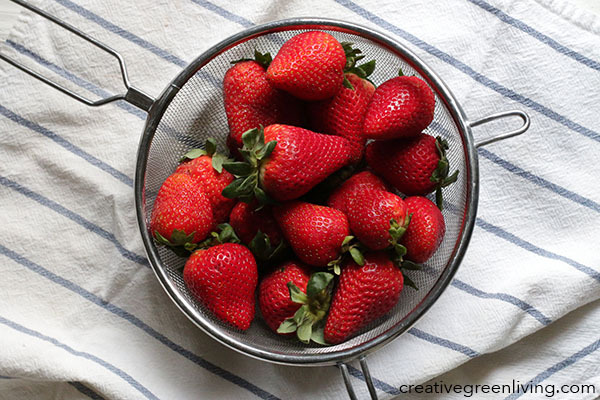 Avoid strawberries with dark spots. Dark or brown spots indicate that the berries are rotting. Definitely not delicious. Don't wash your strawberries until right before you eat them. 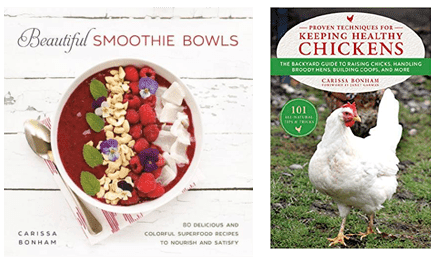 If you are going to eat your strawberries the same day you bought them, leave them at room temperature, if you are going to eat them the next day, or a few days later, store them in the fridge. If any berries begin to mold, pull them out and discard them immediately. 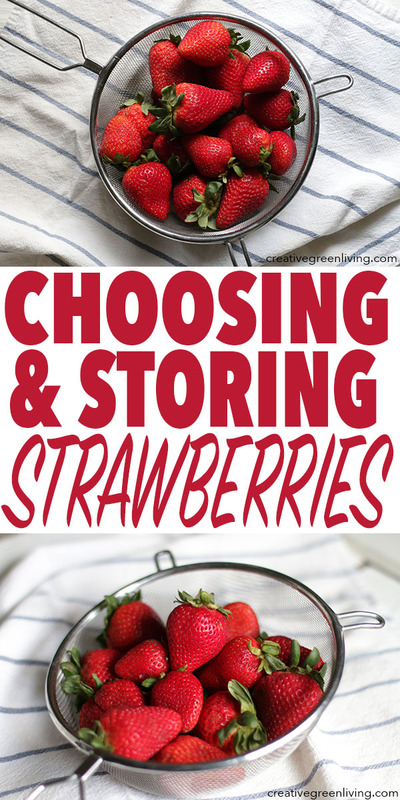 Store berries in the fridge in a plastic clamshell or plastic bag that is partially open. 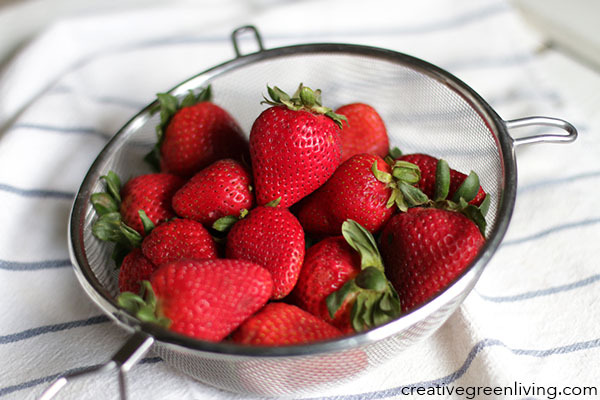 You can also store them in a bowl lined with paper towels, separating the layers of strawberries with paper towels. Eat them within a few days. Even berries in the fridge won't last much longer than 3 or so days.